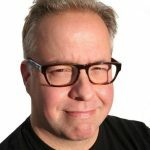 I have been using my sports blog, rnnr.us, as both a writing meditation towards health, fitness, and weight loss and also an SEO and blogging laboratory (pronounced la-bore-ah-tory). To wit, I have been experimenting with Blog2Social, a WordPress plugin that makes immediate crossposting and social media sharing—as quickly as at the exact moment of posting—directly to Twitter, Facebook, Google+, LinkedIn, Xing, Tumblr, Medium, Torial, Instagram, Pinterest, Flickr, Diigo, Reddit, and Bloglovin a breeze. What’s even better is that the latest versions allow users to do so many useful things. 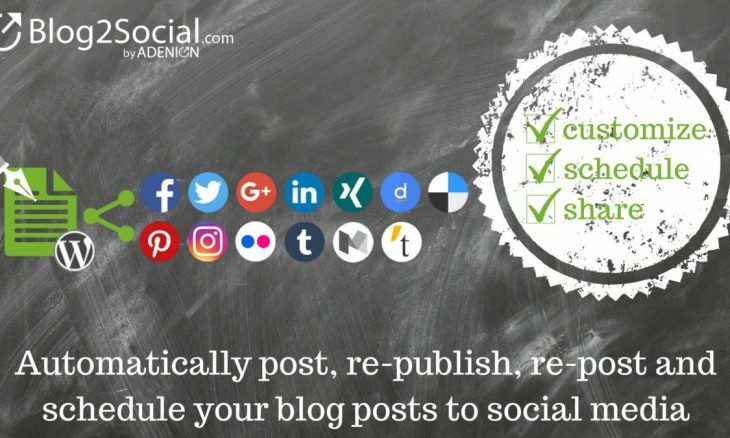 With the newest version, you can set up your blog posts to post recurrently, each network according to what etiquette allows (for example, I think one should only post to Medium, Tumblr, and Instagram once but posting to Twitter, Facebook, and Google+ is a lot more permissive. I might repost my favorite evergreen posts once every couple of weeks). I’m currently up-to-date with Version 4.3.3 of Blog2Social and there are so many other features that you really need to go back to in order to make everything work right. Up until now I have checked the “enable Auto-Posting” whenever I post something new on rnnr.us. Doing so gets 80% of it right. What it doesn’t get right are the cross-posts onto sites like Tumblr, Medium, and Bloglovin where it generally gets Tumblr and Medium pretty wrong and gets Bloglovin mostly right. You’ll need to do this a little bit on all Social and Blog platforms if you really want to get it just right. For example, cross-posting onto Bloglovin’ is easier because it doesn’t copy any images over; however, it does bring the captions over so you’ll need to go through that text and remove all the captions, which look like section titles, before hitting submit. So, if you don’t plan to cross-post onto other blogging networks and only plan to use Blog2Social’s social sharing capabilities and networks like Twitter, Facebook, Google+, LinkedIn, Xing, Torial, Instagram, Pinterest, Flickr, Diigo, and Reddit, then you’re most likely to get things right as long as you’re very intentional with your title, your first couple sentences (summary and description sentences for the win), and especially your blog post Categories and Tags (Blog2Social does a masterful job of re-purposing these as hashtags for some Networks). I know, kind of harsh towards me but I am keeping it real and Blog2Social transmogrified these tags into hashtags — at least for Tumblr, Diigo, and Bloglovin’. Even more exciting is that Blog2Social will even place these tags-become-hashtags into your Instagram and Google+ posts as well, inline, at the end, just like all the cool kids do. That’s very useful to me. And, Blog2Social will automatically turn your blog post and images into the optimal format for each social network. 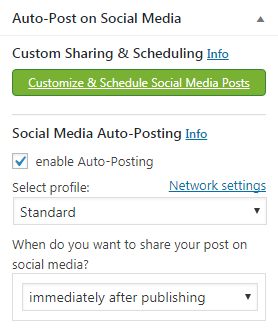 Automatically share your blog posts on social media when your post is published or at your scheduled best times. Share your blog post to all or selected social networks at once. There’s so much more to share. For example they have a lovely new drag and drop editorial share calendar and there are tools to allow you to allow Blog2Social to choose the best time to post for you. You can even set up recurring posts and all sorts of other stuff. There’s so much new stuff that I am going to cut this into two parts. The stuff I have spoken about above are the main things I use these days but I have tried to load up loads of reposts using those tools and best practices that I spoke about above. I didn’t edit each repost the first dozen times but while I have been researching this post, I got better — which is why I don’t want to use the Auto Post any more. Instead, I will just post it regularly and then go into the WordPress Dashboard, go into Blog2Social, then Posts & Sharing, where I will see all the posts I have made on my rnnr.us blog and then be able to edit, make perfect, check hashtags, go back to the proper post, change out bad tags, and then make it right before I click the green Share button. The good news is–I think–is that once you edit the post on Blog2Social once, it’ll stay like that every time you go back to reshare onto Twitter or wherever. I am not certain about that, actually, and will figure out if that’s indeed true. Until then, I would go check this Plugin out. It starts out free but I am currently using Blog2Social Pro and it gives me the ability to use the more advanced–read awesome–features and also it allows me to tie my cross posting and sharing to upwards to 5 profiles/logins per-social or blogging platform, which is super convenient.